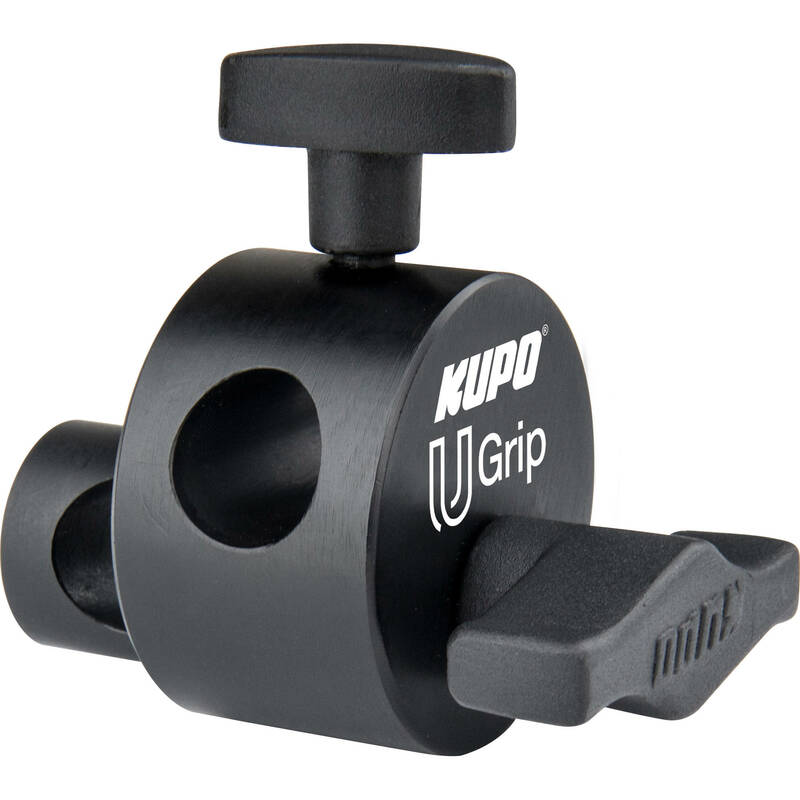 A welcome addition to the Kupo U-Grip car-mount series is this 1.9" U-Grip Head, which provides flexible grip mounting options. The black, anodized aluminum head is the mini version of the larger 2.5" U-Grip head. It features one main 5.8" receiver and one 360° swivel receiver to allow for precise camera and gear placement. Each receiver is secured with a locking knob.